Non-stick iron soleplate 28601420 https://www.kaercher.com/ie/accessory/non-stick-iron-soleplate-28601420.html Non-stick sole for the I6006 pressurised steam iron with easy-glide stainless steel sole plate. Perfect for ironing delicate materials like silk, linen, black clothes or lace. 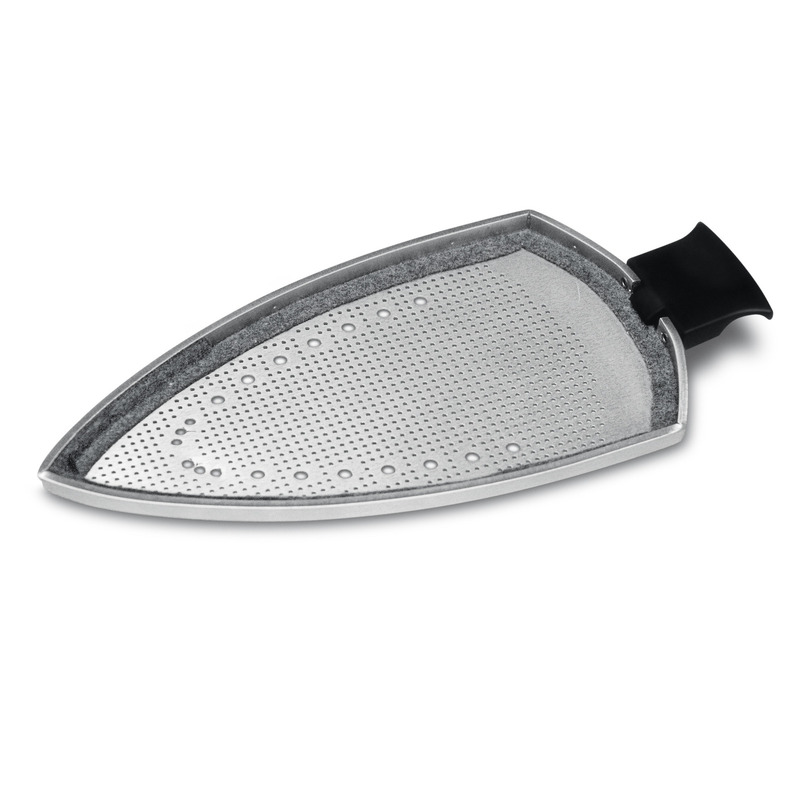 Non-stick sole for the I6006 pressurised steam iron with easy-glide stainless steel sole plate. Perfect for ironing delicate materials like silk, linen, black clothes or lace. For perfect ironing results, from printed shirts to expensive lace. The non-stick sole for the I6006 pressurised steam iron with easy-glide stainless steel sole plate looks after your clothes and gives you peace of mind. The Teflon sole plate is perfect for ironing delicate materials like silk, linen, black clothes, lace and shirts with overprints, and keeps them looking like new. The perfect solution for hassle-free ironing without shiny patches or iron marks. For preventing shiny marks on fabrics.